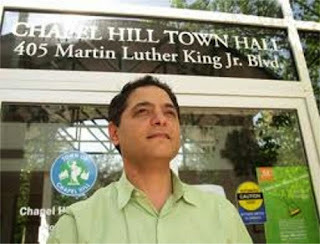 CHAPEL HILL, N.C., (Jan. 30, 2012) -- Chapel Hill Mayor Mark Kleinschmidt was recently interviewed by the Chapel Hill / Orange County Visitors Bureau. Kleinschmidt, an openly gay elected official, is committed to progressive ideals that are changing the face of this college town, including its tourism industry. And he wants the world to know about the city. Chapel Hill, North Carolina is an amazing town. History books prove it. Winners live here; Nobel, James Beard, Pulitzer, Emmy and Academy Award recipients. It's the oldest public university town in the country, a musical Mecca, home to a legendary and winning basketball team – and now the 10th largest city in the world to have an openly gay mayor. In Chapel Hill, this isn't that big of a deal – the town also boasts the first African-American mayor elected since Reconstruction, back in 1969 – but in North Carolina, and throughout the south, it is a big deal. Mark Kleinschmidt, 41, who was elected as mayor in 2009, will tell you so. 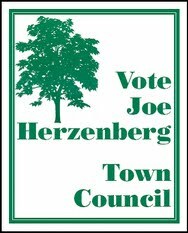 Twenty-two years have passed since his mentor, Joe Herzenberg, was elected to the Chapel Hill Town Council. Growing up, Kleinschmidt watched Herzenberg on the news, "making headlines because he was openly gay, progressive and fought for things I had often thought of, but never articulated to myself, let alone in public." Herzenberg worked as a foil to other strong voices in North Carolina: those whose vitriol sustained North Carolina's past of homophobia way past its historical moment. 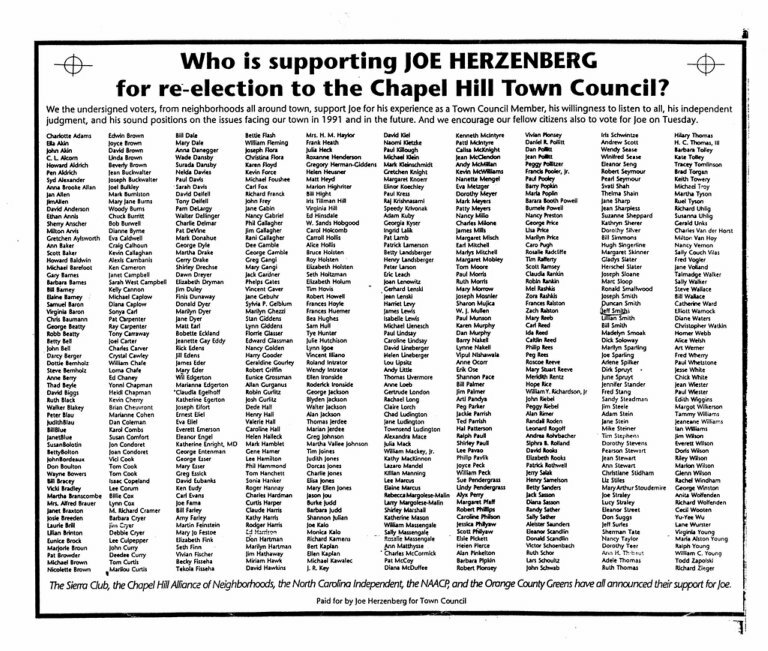 Herzenberg was reelected with overwhelming support in 1991, receiving an unprecedented vote total for a Chapel Hill town council race. 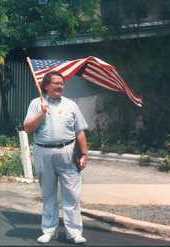 He died at the age of 66 in 2007. 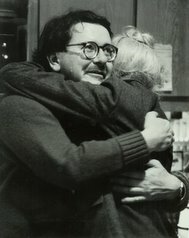 "Joe Herzenberg was one of many leaders who helped young North Carolinians like me understand that Chapel Hill is just left of the mainstream: the type of town where people don't have to chase the big American salary in order to earn respect; rather, it's the type of place where counting your pennies, living modestly and conserving resources in order to help your fellow man, and those in need of help, are qualities that are recognized as noble and worthy." But still, it was the 90s, and even Chapel Hill had a long way to go. "I think back as to how much has changed since I first came to school here as an undergraduate. I remember I wanted to be a teacher and I was very conflicted about being 'out of the closet' because the words teacher and gay did not go hand in hand. As a society we had not yet come to terms with gay men teaching our young children in schools." Eventually Kleinschmidt did become a teacher, and took his first job in Charlotte, North Carolina's largest city. But working in a high poverty school and watching kids grow up with so many struggles (some of the kids he taught had kids of their own), convinced him that he had to find a bigger way to make a difference – a way to change the system, and not just the symptoms. For Kleinschmidt, that meant law. This brought him back to Chapel Hill. It was his legal studies, coupled with his political advocacy on the UNC campus that would shape his life in public service. In addition to local issues, he keeps a close eye on state issues impacting minorities and LGBT citizens. One of his biggest fears is a proposed amendment to the North Carolina Constitution which will appear on the May 8, 2012 ballot "to provide that marriage between one man and one woman is the only domestic legal union that shall be valid or recognized in this State." "Today's youth accept marriage equality, but by the time they're in a position to do something about it, this amendment will be locked in place for many years to come," Kleinschmidt says. "We must defeat it." California recently passed legislation that allows education to adjust the curriculum to allow teaching of gay history. Kleinschmidt believes that forward thinking initiatives like this can only help everybody. "When you teach history during times when LGBT people are changing things socially, or even on a larger scale, then children and young people should be told about the whole person. If not, you're really failing the purpose of education. I'm very supportive of curriculum that recognizes that gay and lesbians are in our world and they make important contributions." Curriculums like this make the rest of the world more like Chapel Hill; until it is, though, he encourages everyone to come here for a visit. Kleinschmidt is an impressive leader, teacher and beacon for change for North Carolina. With charm, good looks, intelligence and a modesty born of loving, working class parents who always have his back, Kleinschmidt radiates a happy confidence that makes you believe Chapel Hill can go wherever it wants to go. Kleinschmidt has come a long way from his rural, NC middle school days, where he watched Joe Herzenberg on the television, wondering if he too would one day make a difference. "I hope Joe is proud," Kleinschmidt says. "But I'm sure that if he were here he wouldn't spend any time telling me how proud he is of me. He would just be giving me another list of things to do." Because there are always more things to do.